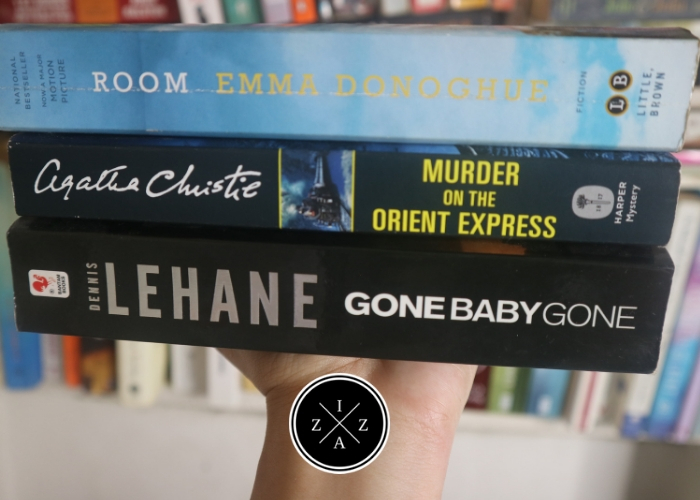 Today I’m sharing my October reading list and will also give a wrap up of the books I finished last month. For the first time I finished my reading list on time. I am also satisfied with the books I picked up this month and can’t wait to share my review for them later. But first let’s go with the books I am committing to read for October. This book has been with me since 2016. If my memory is correct I bought it to cure my reader’s block with the e-purse I collected from My Laking National Card. I tried to read it so many times (April 2016 and May 2016) and even became part of my 17 Before 2017 Books but I just couldn’t finish it and I don’t know why. This month I want to give it a shot once again. I was able to do it for Paper Towns last month and with the current reading routine I do I feel like I can do it. Anyways, Room is a 2010 novel by Irish-Canadian author Emma Donoghue. The story is told from the perspective of a five-year-old boy, Jack, who is being held captive in a small room along with his mother. Donoghue conceived the story after hearing about five-year-old Felix in the Fritzl case. I believe I’ve shared about Josef Fritzl in my Netflix True Crime Documentaries Recommendation post. The basis of the story was such a gruesome crime and I’m looking forward as to how it is reflected on the novel. This will be my first Agatha Christie novel ever. I’ve seen plenty of her books on bookstore but have not picked up anything except this. To be honest, my interest for the book started from watching the movie adaptation trailer. I thought how interesting the story could be with a body found murdered in a moving train with 13 likely suspects of different stories to tell. I actually brought this book during my trip to Seoul, South Korea but wasn’t able to really read it so I’m excited to fulfill the task this October. I found this book out of the blue in Book Sale Makati Square and I was so happy. Dennis Lehane is well-known author having been written books such as Mystic River and Shutter Island. Both have been adapted to award winning movies respectively. In 2007, Gone, Baby, Gone was also turned into film starring Casey Affleck with even Ben Affleck (the actor and his real-life brother) as director. Gone, Baby, Gone is about two private investigators Patrick Kenzie and Angela Gennaro who were hired to find a four-year-old girl named Amanda McCready. The investigation received wide news coverage but the police have uncovered. Then a second child disappears. 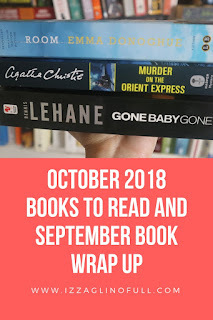 My picks for October 2018 are heavier books to read and finish. I am really hoping I can finish it same as last month. Out of the three books I planned to read, I finished everything. I read Simplify Your Hectic Life, The Giver and Fahrenheit 451. One devotional book and two dystopian novels. This is my second time to read and finish Simplify Your Hectic Life by Annie Chapman and Maureen Rank. Yet, the book still provided new insights when it comes to maintaining a solid spiritual life despite one’s chaotic schedule. Chapman and Rank provided stories and tips that will inspire every reader to focus on God – alone. It is filled by Godly thoughts and messages that show what productivity and what a balanced life should be when you have God in the center. Oh this book is amazing. I am soooo happy that I was able to read this and would be included in my best books read in 2018. Promise! Summary: The Giver provided such an intense plot. Jonas, the protagonist, lives in a “perfect community” where no pain, no war and no fear exist. Each person in the community is given a special role to play. And Jonas was, much to everyone’s surprise, tasked to be The Receiver. At age 12, he will undergo intense training provided by The Giver and will be receiving all the memories, good or bad, pain or pleasure, of the whole community. My Review: The Giver is such a short read but the reading experience is beyond incomparable. It’s like a roller coaster ride where you start slow, experience emotional highs and lows in the middle and end it with a burst of revelation. I enjoy dystopian as a genre because it makes you think of the possibility. The way Lowrey described the community is well-researched, something I really enjoyed reading. I love the explicit information the author provided about the community on how the community works. The only problem or issue I have was the ending. There was an open-ended question whether Jonas survived or not. I also wanted to know what happened to the community, his family while he was gone. And exactly happened to The Giver? The Giver is actually part of a series by Lowrey and I’ve read reviews that the questions are actually answered in the succeeding stories from the series. I’ll see if I can find the rest of the books in the series in our local bookstores. In conclusion, The Giver is worth the read and it definitely holds a special place in my heart. Last in my reading list for September was Bradbury’s Fahrenheit 451. A dystopian novel much like The Giver where the story takes place in a world that doesn’t exist. Summary: The novel presents a future American society where books are outlawed and "firemen" burn any that are found. The book's tagline explains the title: "Fahrenheit 451 – the temperature at which book paper catches fire, and burns..." The lead character is a fireman named Guy Montag who becomes disillusioned with the role of censoring works and destroying knowledge, eventually quitting his job and joining a resistance group who memorize and share the world's greatest literary and cultural works. My Review: Fahrenheit 451 is in a different level of reading experience that The Giver provided. Although both are dystopian-themed, book burning which is the central plot of Fahrenheit 451 did exist in the real world like the Nazi Book Burning. Bradbury touched such a sensitive topic and turned it into an exemplary novel that will make you think and wonder what if. I struggled reading the first 25 pages of the book because of how bizarre the writing style is. I felt like I needed to read twice the paragraphs just to make sure I understand was happening in the story. But it is a good classic book to read. The fact that it is a story about the importance of literature and how knowledge through reading could change how a community acts is well represented in the totality of the novel. The most surprising thing for me while reading the book was how the Bible and its important verses were presented. I didn’t expect Bradbury to include that. Even at the ending, Montag mentioned one of my life verse Ecclesiastes 3. All of the books I read last month were good. I had a great time reading everything. I am looking forward how my reading list for October will go. 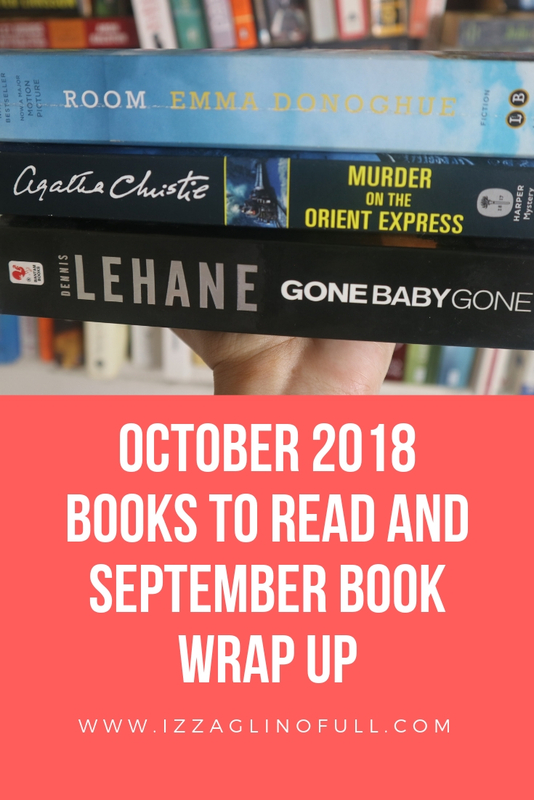 See you on next month's books to read and book wrap up! Agatha Christie novels are great especially the ones with Detective Hercule Poirot. Murder on the Orient Express is an awesome read. I highly enjoyed reading that one and lucky enough to have finished reading the book before I saw the movie. I hope you enjoy reading Agatha Christie novels. As for Farenheit, yeah I agree it's quite a challenge to read. I struggled to finish this when I read it (a recommendation from a book club I was a part of) because of the writing but yeah, imagine a world without books! I don't think I want to live a world like that.